I raced a few different bikes in the late 80’s to mid 90’s. My current project is a BSA 350 I purchase in February this year. 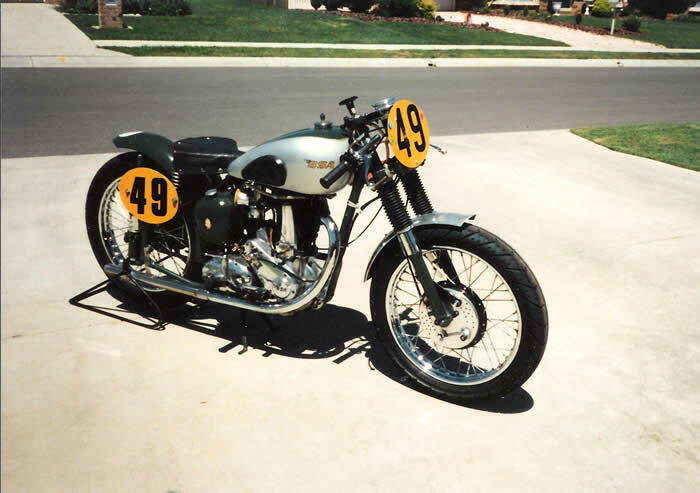 I started Historic racing in Sydney in 1985 on a 1950 BSA B33 Plunger I restored. In 1988 I moved to Brisbane (work related) and joined QEMSC in 1989 and raced the B33 until I sold it late in 1995. I travelled to Eastern Creek for the inaugural historic meeting in the early 90’s and also race at the next two meetings there as well. The bike was very competitive at "The Creek" in the Div 2, 500cc and unlimited classes and I managed to win and place in a number of races. In 1993 I purchased a 1967 Honda CB350. The bike had a full HSC period race kit fitted and had been raced for a number of years before being used in regularity trails at Lakeside. I raced the Honda for two season before selling it at the end of 1994. In 1995 I sold the BSA B33 and purchase a numbers of trials bikes & went riding with my four daughters. Move forward to 2010, all the girls are married and I got the itch to go racing again. I had always planned to get hold of a Royal Enfield 500 Bullet and do it up for racing. In Sep 2010 I purchased a 1959 500 Bullet ‘Big Head’ complete but a basket case. As I started planning what I needed to do to turn it into a Historic Racer I found out that the bike was quiet rare and now the plan is to restore it back to original. 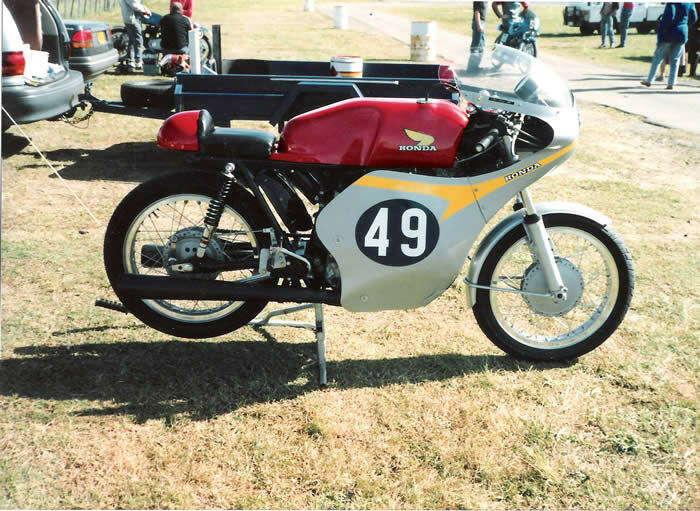 I was still on the look out for a bike to go racing again & at a recent Haigslea swap meet I come across a 1955 BSA 350 set up for racing and running. Money changed hands quickly and the bike was soon in my shed.